Enjoy a fantastic 'Beaches and Bays' Helicopter Sightseeing Tour over Sussex and the South Coast, flying over miles of sandy beaches and admiring incredible views from this vantage point. Take to the skies with this fantastic 'Beaches and Bays' Helicopter Sightseeing Tour in Sussex, and enjoy stunning views of the South Coast from this wonderfully unique vantage point. During this thrilling tour, you will fly over the spectacular headland of Selsey Bill and along the unspoilt, sandy coastline which stretches past the East and West Wittering beaches, Chichester Harbour and Hayling Island. Flying from Goodwood Aerodrome, you will be able to enjoy remarkable views of Goodwood House and Estate, as well as the world-famous race track. Helicopter travel is one of the most exhilarating and liberating forms of transport; you go backwards and sideways as well as forwards - perfect for hovering over sights of interest - and can weave through the clouds gracefully and easily. Whether you're looking for a special experience gift for a loved one, a unique way to celebrate a special occasion, or just want to enjoy breath-taking views of the south coast and Sussex area, this fantastic helicopter sightseeing tour will tick every box.The 'Beaches and Bays' Helicopter Sightseeing Tour in Sussex will begin when you arrive at the Chichester airfield near the Goodwood Estate, where you will be given a full safety briefing from the ground crew. You will then board either a Bell 206 Long Ranger or a Jet Ranger and begin your ascent! You will enjoy a twenty minute aerial tour of the glorious souther coastline including Selsey Bill, Witterings Beach, Hayling Island and Chichester Harbour. The exact route may vary depending on which runways are in use on the day, traffic patterns at Goodwood Aerodrome and the weather. After your tour has finished you will settle gently back onto solid ground, and have the rest of the day to explore the neighbouring Goodwood Estate if you choose to. The 'Beaches and Bays' Helicopter Sightseeing Tours in Sussex are available throughout the year, generally one day a month in the winter and more throughout the summer months - on selected weekend dates. 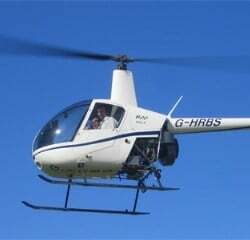 The 'Beaches and Bays' Helicopter Sightseeing Tour in Sussex lasts for 20 minutes flying time, although you may be at the centre for approximately an hour. Participants: The 'Beaches and Bays' Helicopter Sightseeing Tour in Sussex is for 1 participant. You are welcome bring family and friends along with you to watch your The 'Beaches and Bays' Helicopter Sightseeing Tour in Sussex; however, only those taking the tour can go airside. There is a viewing lounge at the aerodrome which looks out over the helicopter operating area which is perfect for spectators to observe the flying activities. 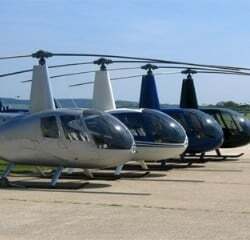 The helicopter tours will take place in either in a Bell 206 Long Ranger, which can hold up to six passengers per flight, or in a Jet Ranger, which can hold up to four passengers per flight. You should wear comfortable, casual clothes for your 'Beaches and Bays' Helicopter Sightseeing Tour in Sussex. All safety equipment will be provided by the centre. The 'Beaches and Bays' Helicopter Sightseeing Tour in Sussex is weather dependent and will not go ahead in particularly adverse weather. If this is the case, your tour will be rescheduled. Experience Days are constantly on the lookout for fresh and exhilarating new experiences; we love anything from track days to pamper days. This week, we bring you one of our newest activities, which we are super excited about – Helicopter flights with Elite Helicopters. We had to delve a bit deeper and really get an insight behind the company and what they offer, so we caught up with Bill Leach from Elite. Hi Bill, please explain your journey as ‘Elite Helicopters’ so far. Well, ‘Elite Helicopters’ has been in business for over 17 years now and was initially formed by two directors who had originally worked for another helicopter operator (which has now closed down). Elite was first based at White Waltham Airfield near Maidenhead before moving to Goodwood Aerodrome over ten years ago, and is now one of the South of England’s largest charter operators and pilot training schools. Elite’s Operations Manager and Commercial Manager also have a wealth of experience in the industry, having worked for other helicopter companies in Berkshire and in Yorkshire. Between them, the directors and managers have well over 60 years of experience in the helicopter industry! Incredible, we would definitely feel safe in their piloting hands! Ok, so perhaps a tricky question: what are the best parts of the job for you? One of my all-time favourite parts of the day is the look on our customers’ faces after their experiences. It’s always a pleasure to see passengers get out of the helicopter with a huge smile on their face. They often board the aircraft with a combination of excitement and nerves and come back to the airfield having thoroughly enjoyed their experience, dying to go back up again. It sounds amazing! So, from a day to day aspect what keeps you interested, or what types of tricky challenges do you find yourself facing? 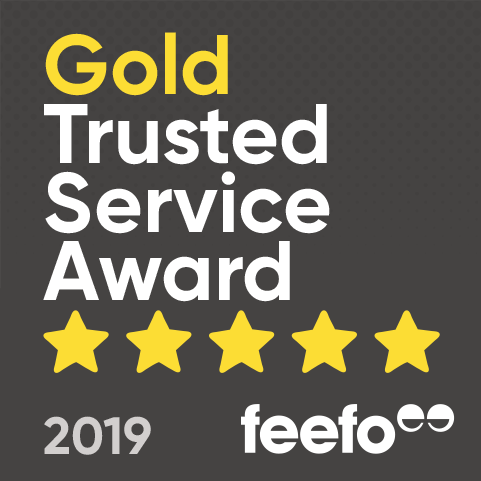 Every enquiry we receive is different, whether it’s someone thinking about learning how to fly a helicopter, wanting a pleasure flight, aerial photography and filming, or a flight to an event or business meeting. You would be surprised what kind of things we are asked to do with a helicopter – some of which are possible, some of which aren’t! Once we agree to conduct a flight, we then go through the detailed process of arranging landing sites, planning the flight and briefing the pilot. As each flight is different, there’s plenty to keep us interested! Lots of planning then! Now, you’ve been running Elite for a fair amount of time now, what has been the biggest or most memorable event? You must have met a few celebs along the way? We provide helicopters for a wide range of events – many of them within just a few weeks of each other. Last year we had one of our busiest British Grand Prix times in recent years, using 17 helicopters to fly some 600 guests in to Silverstone over the weekend. Many of the faces were recognisable, including four Formula 1 World Champions, the race winner on the day and an up-and-coming star of the future as well as some stars of film and TV. Is there any inside information you can give us about your experiences? We always find our most popular experience is the trial lesson! In terms of our experiences, the day usually starts off with a briefing to the student about their flight from our instructor, explaining the basics of how the helicopter flies and the effects of the controls, and answering as many questions as possible in the time available. The flight is usually conducted in one of our two seat Robinson R22 helicopters, although we also have the option to fly in our four seat Robinson R44. The bigger aircraft is brilliant for anyone who would like friends and family to sit in the back during the lesson, or for our larger students. The flight is a “hands on” experience – we want people to experience flying the helicopter for themselves as the aircraft climbs, turns, descends, flies straight and level, and performs those most unique of helicopter manoeuvres – hovering, and maybe even flying backwards and sideways! We often get asked about the best place to wait and watch the flight. There is plenty of opportunity for friends and family to watch as they take a seat in our comfortable lounge with views across the airfield. It gives you a brilliant opportunity to take photos of the helicopter as it departs and arrives and to watch all the other aircrafts coming and going. We can’t guarantee an appearance… but there are Spitfires and Harvards based at Goodwood and plenty of other interesting aircraft to watch as the Trial Lesson takes place. Some of our Trial Lesson participants “get the bug” and come back for more flying lessons, and we can proudly say they go on to achieve the Private Pilot’s Licences and learn to fly different types of helicopter. Do you have any exciting plans for the future that you’d like to tell us about? Elite Helicopters already offer training beyond the Trial Lesson, including training to achieve the Private Pilot’s Licence, helicopter Type Ratings and Commercial Pilot’s Licences. 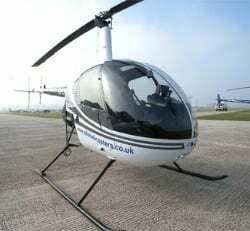 Very shortly, we will also be offering Flight Instructors Courses, training the helicopter instructors of the future. Thank you for talking to us today Bill, you’ve helped fuel our dream of becoming a pilot, that’s for sure! Please could you advise me how long the helicopter tour lasts? The Beaches and Bays Helicopter Tour has a flight time of approximately 20 minutes, however, please expect to be at the centre for around 1 hour. What is the maximum age limit for the Beaches and Bays Helicopter Tour? The is no maximum age limit for the Beaches and Bays Sightseeing Tour in Sussex. As long as you are able to climb a couple of steps onto the helicopter with reasonable assistance, then you are able to fly! What's the minimum age for the 'Beaches and Bays' Helicopter Sightseeing Tour in Sussex? The minimum age is five.